RedEdge simultaneously captures five discrete spectral bands, enabling the creation of tailored indices for customized applications. Global shutter design creates distortion-free images on every platform. A variety of interface options including stand-alone mode, serial, Ethernet, and Wi-Fi, give RedEdge integrators expanded flexibility. 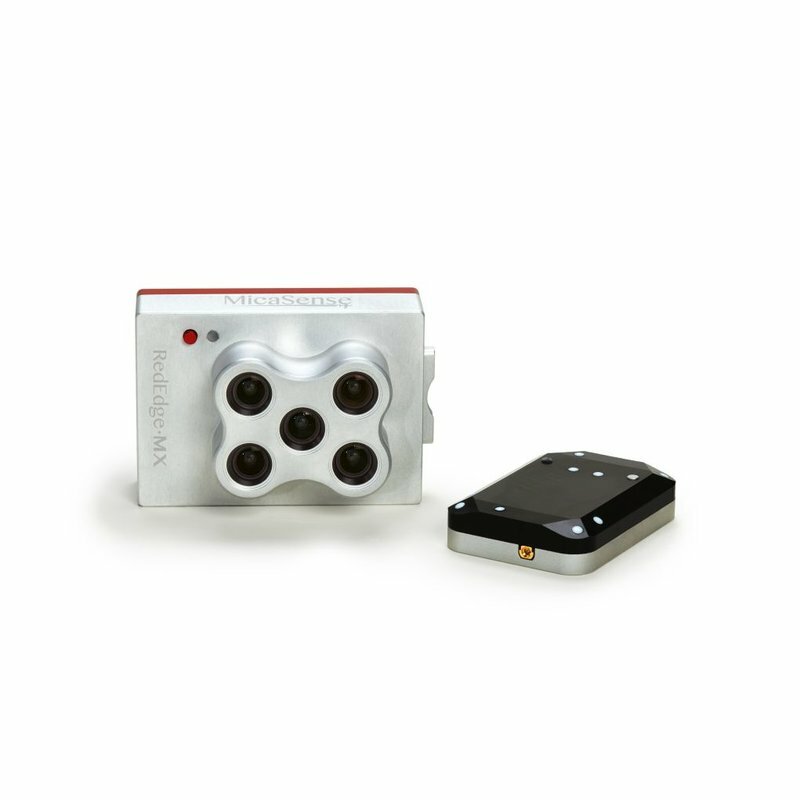 RedEdge's Downwelling Light Sensor (DLS) enables measurement of ambient light conditions during flight for more accurate data in varying light conditions. Get the most of data captured with RedEdge using ATLAS, MicaSense's cloud-based data processing and analytics platform. With flexible interfaces including Ethernet, serial, and PWM/GPIO trigger, RedEdge is ready for tight integration with any drone. MicaSense RedEdge is an advanced multispectral camera specially designed for small unmanned aircraft systems. It provides accurate multiband data for agricultural remote sensing. Please ask us for delivery time.